The Queen is off duty! We had Prince and Princess Day, and all things royal, on Tuesday this week. It was marvellous! Just so much fun with a delightful, might we say, adorable, group of tiny princes and princesses. Among the many wonderful aspects of teaching Kindergarten, is how the children really embrace any idea or suggestion for a new and fun activity. 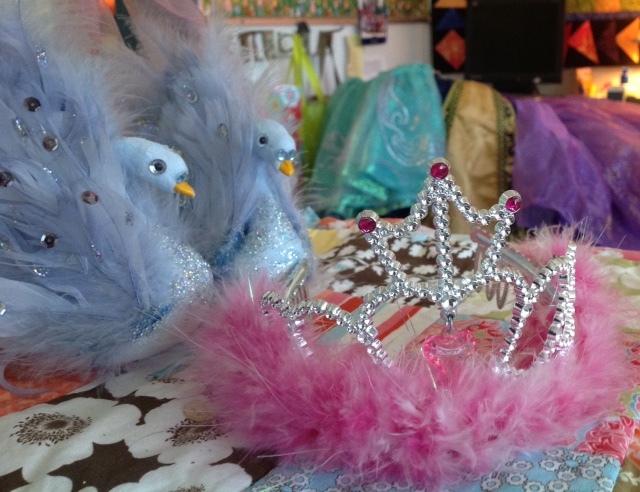 We’ve been hosting a Prince and Princess Day since our job-sharing days, and again the children did not disappoint. What fun to open the door and see so many princesses in gorgeous gowns, and handsome Knights and princes at every turn. The children who didn’t want to wear a costume still came dressed up in lovely dresses or smartly dressed in pants and button down shirts. We started off with a heap of giggles as we greeted each child, as we do every morning, during the attendance with, “Good Morning, Princess Nelli,” or “Good Morning, Prince Ryan.” The children could barely speak because of the laughter as they each responded back, “Good Morning, Princess Mrs. Daudlin.” That was their own idea, and it really set the tone for our fun day. The Royal Family, as we called ourselves all day, went on to “the Royal Centres,” followed by the “Royal Meeting Time.” We wrapped up our fairy tale unit with “Hansel and Gretel” and we drew a story map to help us in our retelling and comprehension of the story. We decided to celebrate the July birthdays on this day as well. In our classes, we sing “Happy Birthday” to the birthday children, mark it on the calendar with a special birthday cake cut-out and present them with a birthday certificate and sticker; then they walk up to the office for a birthday pencil. Our July birthday children all brought sweet treats for the class which we throughly enjoyed. Of course, all that sugar made our self-regulation a little more challenging but by keeping our routines the same, and our expectations clear, we were able to keep ourselves focused and on-task. 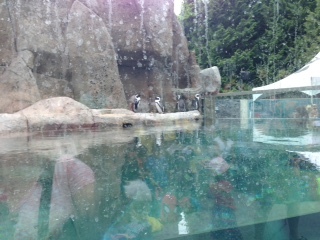 We had an excellent field trip on Thursday to the Vancouver Aquarium. Have you been to the Aquarium lately? It’s been recently renovated and they’ve done a first-rate job of providing a stimulating educational experience on aquatic life and conservation, with a focus on BC’s coastal waters. We have only high praise for our wonderful Kindergarten children on their first “big” field trip and they represented Ridgeview so well. Our classes were respectful of the animals, exhibits and the many other visitors who were also in attendance on a warm and sunny June day. 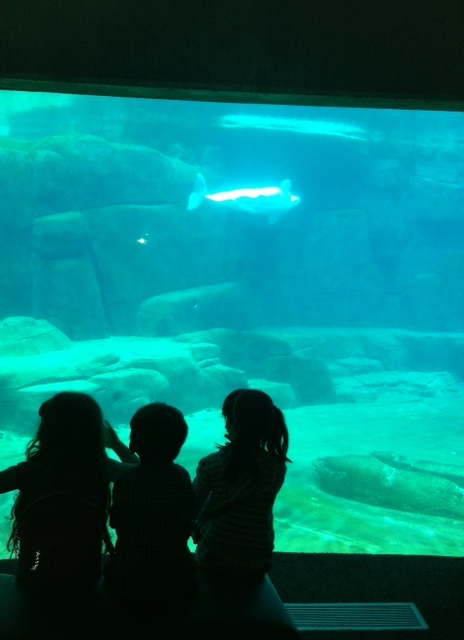 The children were able to enjoy several shows as a class including watching the “Caring for Belugas” while we ate our lunch, and an informative talk at Penguin Point. Between the scheduled shows, we spent a lot of time visiting the many species of frogs; saw a sloth and exotic birds in the Amazon Gallery; admired the luminous jelly fish; watched turtles, sharks and sting rays; and meditated on the graceful swimming movements of the beluga whales in Canada’s Arctic. We’ve mentioned it many times before, but it’s worth repeating again. The children’s ability to self-regulate their behaviour, specifically assessing their social situation; following directions; delaying their personal wishes for the needs of the group; and taking turns to view the animals and cooperating with their friends, made a huge difference for all of us, adults and children, to being able to thoroughly enjoy our field trip. We had a rehearsal Friday afternoon for the Grade 7 Promotion Ceremony. As part of Ridgeview’s annual tradition of celebrating our Grade Sevens, the Kindergarten classes will be presenting flowers to their Grade 7 Big Buddies during the ceremony. The school will provide the flowers. Monday, June 22: Beach Bubbles Party at school. We’re going to have some fun, summer-themed centres with both Kindergarten classes in the morning between recess and lunch. We’ll have a special ice-cream treat in the afternoon as well. Please note that this fun day happens at school on our playground. We will not be going to the beach, so there is no permission form. Wednesday, June 24: Grade 7 Promotion Ceremony. Kindergarten students should come to school wearing their “party best” for this formal occasion. Kindergarten parents may come and watch us. Our part in the programme is around 11:40 am. The Home Reading program is now finished. If you still have a book at home, please return it for Monday. Library Books are now overdue. Please return any books you may have at home. If you are leaving before Thursday, June 25, please let us know as we are putting the children’s scrapbooks together for them to take home on Wednesday, June 24.